When a fund raiser, who happens to be the husband of Erin's close friend, for the Mayor elect is found dead in his car, the Mayor wants Frank to position it to the public as a random act of violence, as to not jeopardize his newly appointed position. 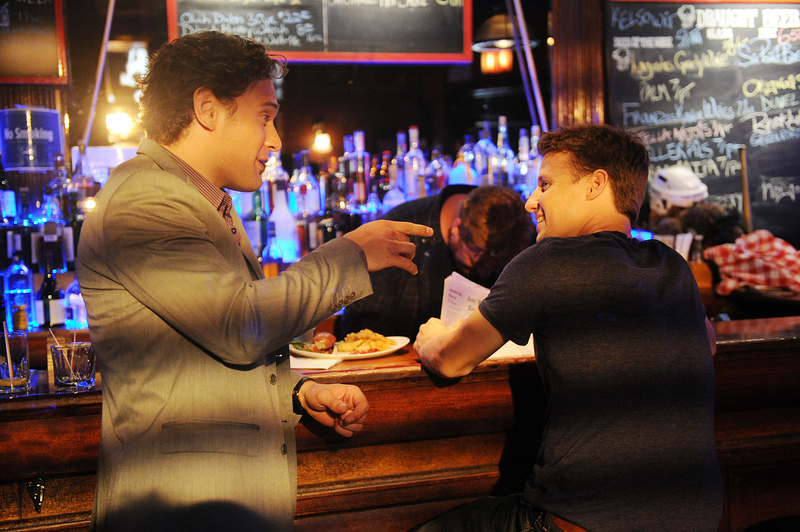 Meanwhile, Jamie (Will Estes) goes undercover at a bar and meets a suspicious patron (Eric Morris), on the second season premiere of BLUE BLOODS. Photo: Heather Wines/CBS©2011 CBS BROADCASTING INC. All rights reserved. .